Spinster Sisters Soap Co handcrafts all natural skincare products – wonderful, fragrant, luxurious and moisturizing handmade soaps, lotions, bath soaks, salves, and more. Spinster Sisters Soap products are made with only the finest natural ingredients, sourced locally when possible, and are 100% vegan. 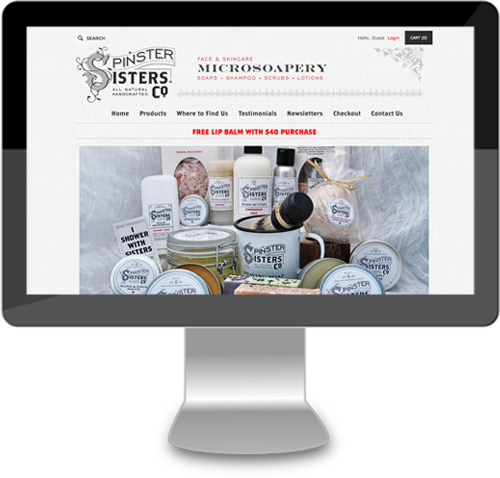 For Spinster Sisters, we created a custom 3dCart mobile responsive theme.